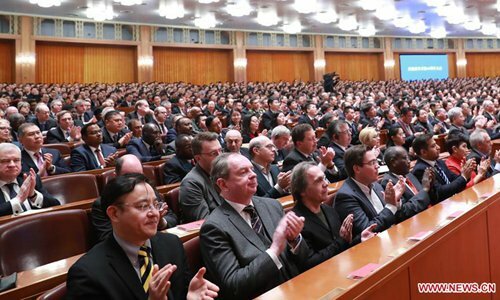 President Xi Jinping and other Chinese leaders attended the event which began at around 10 a.m. at the Great Hall of the People in Beijing. The celebration started with all participants rising to sing the national anthem. 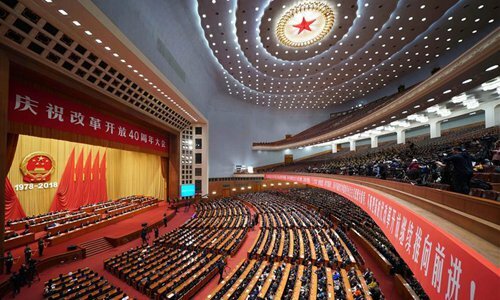 Wang Huning, a member of the Standing Committee of the Political Bureau of the Communist Party of China (CPC) Central Committee, read a decision to award the personnel who have made outstanding contributions to the country's reform and opening-up. 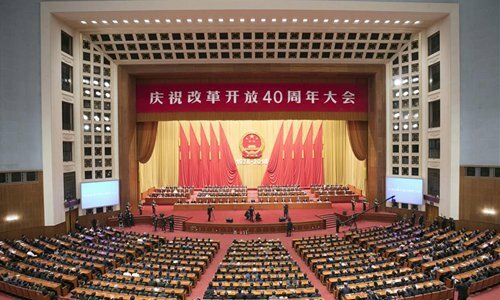 The people are "the creators of the great wonder of reform and opening-up" and "the source of power" to drive the campaign started 40 years ago, Wang said. 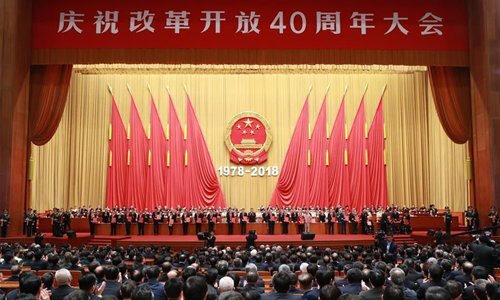 According to the decision made by the CPC Central Committee and the State Council, 100 Chinese were awarded the medals of reform pioneers and 10 foreigners were honored with China reform friendship medals. 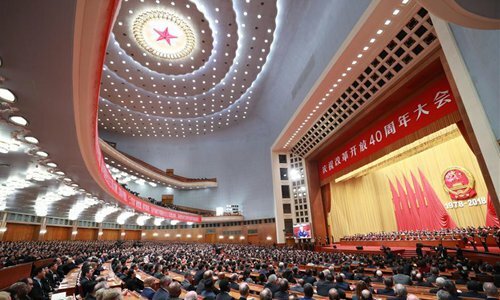 Chinese leaders presented the medals to the prize winners.